A Collection of Delicious Homemade Pumpkin Recipes Perfect For All Year Round! 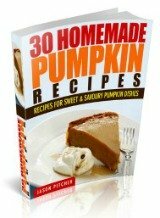 This collection of homemade pumpkin recipes is guaranteed to make your Thanksgiving one to remember! But this versatile vegetable is suitable anytime of year. With sweet and savoury dishes for every occasion.